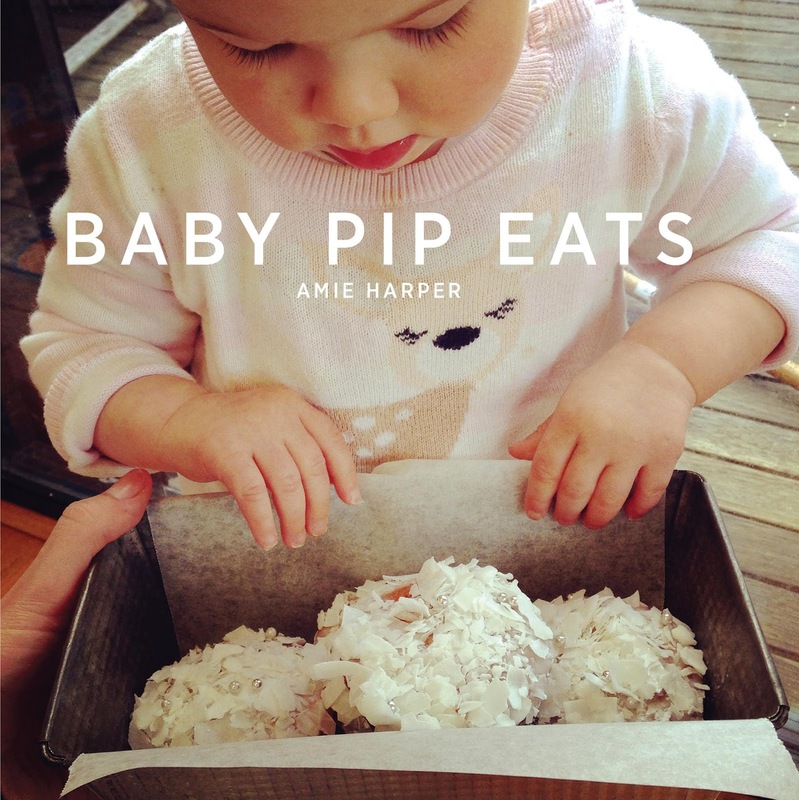 Food technologist, food stylist/recipe writer and mum to baby Pip, Amie Harper has combined a warmly-curated selection of book elements in this small-format title, Baby Pip Eats--a book that can appeal to little ones as much as it does to adults. Inspired to prepare delicious and high-nutrition foods with a simplified palate for her baby girl, Amie has used an alphabet format for a collection of recipes--from Avocado to Zucchini, and a gastronomic tasting plate in between. Stylishly-photographed meals accompany such entries as Jap Pumpkin Risotto, Baby Coconut Naan Bread, Googy Egg Toast and Broccoli au Gratin. Using cut cookie cut outs and a variety of tastebud-stretching ideas, Amie presents each recipe alongside specific developmental ages (with notes such as 'once chewing has developed'), information on vitamins and minerals in each dish, and the serves each dish can achieve--sometimes serving just one baby, other times serving a baby and two adults, or a family of four. I love that the recipes don't 'dumb things down' too much for toddlers, instead encouraging a wide and varied ingredient list that will stretch the palate of little ones early, and help kybosh Fussy Eater Syndrome. Onions and garlic are often included, as is lemon, seasonings and an entire plot of vegetables. I particularly love that Amie doesn't 'hide' vegetables, but rather serves them with delicious accompaniments that will thoroughly tempt little tastebuds. I believe this book could be used as a quasi 'alphabet' book for young children--where mum, dad, grandparent or carer can share the recipes visually. Little ones could even watch an adult prepare each dish, or help with the 'cutting out' of shapes with cookie cutters.